‘And the Lord God commanded the man, saying: “Of every tree of the garden thou mayest freely eat: but of the tree of the knowledge of good and evil, thou shalt not eat of it…” (Genesis 2.16-17). I’ve been taught they [Adam and Eve] disobeyed. PERIOD! Disobedience to the command of God is not more basic, not more fundamental, not more ultimate than what they desired above God. He also added to his message the impression that unless they see it his way, (my emphasis) they will never see ‘the greatness of the majesty of God.’ In other words, based on Piper’s new way of thinking, those in the past who had preached otherwise were incorrect because according to Piper the real explanation for the fall of man was that Adam and Eve had desired the fruit more than God. They lost their taste for God. However, in Scripture, God does not highlight Piper’s version as the ultimate sin. Without a doubt, Piper missed the mark because instead of accurately diagnosing the problem, Piper described a symptom. 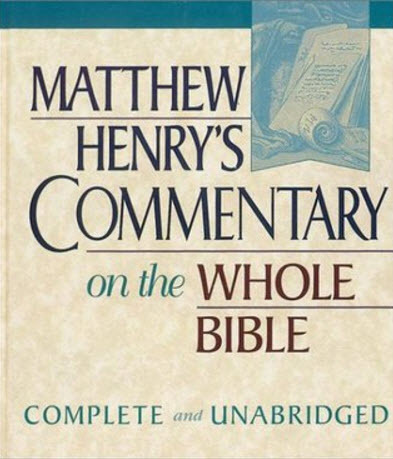 As a result, he gave Genesis 3 a new spin and twisted it to conform to his own personal narrative which fits the philosophy of his doctrine of ‘Christian Hedonism’, and also the spirit of antinomianism. Subsequently, in front of 50,000 students, Piper not only presented a new idea undermining the authority of God and His Word, but as well he lowered the bar for these students by putting a stumbling block in their path. Instead of giving young adults the truth about the importance of obedience to the faith following the One Who ‘became to all those who obey Him the source of eternal salvation’, Piper gave them a taste of falsehood and distorted God’s Word. The devil deceived Adam and Eve into doubting and questioning the seriousness of the command given by God. They were duped. Likewise, Piper’s message also insinuated doubt. What took place in the garden was rebellion in its worse form. This was an insurrection against a command of God our creator. It was far worse than their losing a taste for God. Consider the consequences if Christian men are willing to accept a popular speaker’s opinion and philosophy even if it contradicts truth. 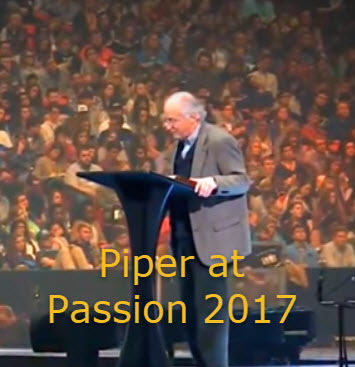 Moreover, if Piper’s vision is tolerated or ignored, in the future any popular Christian speaker will have the power to either directly or indirectly challenge the established doctrine of the Christian faith. Has the Church reached the point where men have decided to listen to men, but not God? Because Genesis 3 gives the first lesson on the importance of obedience and sets the stage for man’s Savior—not grasping this truth will have an impact on the life of a believer. Just as the foundation is the most important aspect of building a house, likewise, beginning with Piper’s a false narrative or foundation will put the whole house off balance. 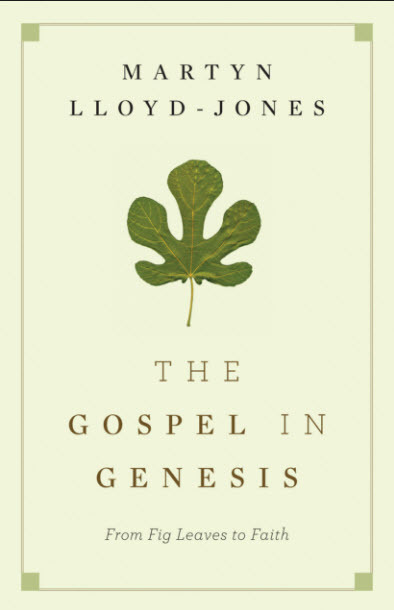 According to Dr. Martyn Lloyd-Jones, the ‘… third chapter of Genesis… is absolutely vital to a true understanding of the message of the entire Bible.’ In the book The Gospel in Genesis, Lloyd- Jones gives the account of Adam and Eve, who were confronted in the garden with a choice between God’s way or their own. He states this paradise came with a condition. And the condition was that they obeyed God, that they recognize the supreme authority of God, that they recognized that God had a right to do with his own as he chose and that God really, even in giving his law, was concerned with their well-being and happiness. That was the position. The blessings were showered upon them, but there was a law, this condition, this demand for obedience. But they rejected that. Ironically, the ‘condition’ described by Lloyd-Jones is also the same ‘condition’ rejected by John Piper. Moreover, not only has Piper called into question the clear biblical and historically accepted account by coming up with his own version, but whether he realizes it or not, he has attacked and ignored sound teachers who have gone before him. 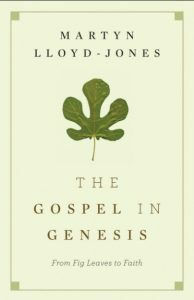 In contrast to John Piper’s message, Dr. Martyn Lloyd-Jones’ conclusion is that Adam and Eve lost their perfect state ‘through disobedience and rebellion against God’. Period! In neglecting the tree of life, of which he was allowed to eat, and eating of the tree of knowledge, which was forbidden, Adam plainly showed contempt of what God had bestowed on him, and on a desire for what God did not see fit to give him. He would have what he pleased, and do what he pleased. His sin was, in one word, disobedience, Romans 5:19; disobedience to a plain, easy, and express command. 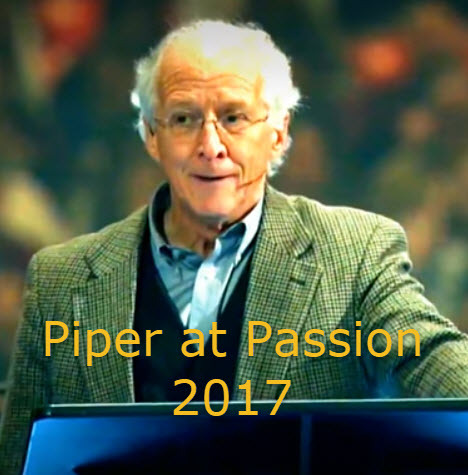 But, by dazzling his audience with his passion and air of authority, John Piper put them in a danger like the danger faced by Adam and Eve when the enemy of man put forth his question: ‘Indeed, has God said…?’ John Piper’s interpretation has muddied the waters and created confusion where there was no confusion. According to Scripture, at the root of this battle in the garden of Eden was not man losing his desire for God, as proclaimed by John Piper. Eve was tricked and then Adam with both eyes open disobeyed God’s easy to understand command. Likewise, Piper deceived his audience by causing them to ‘feel’ that their sin was not disobedience to an Almighty God, but merely not ‘desiring Him’ enough. Hence, he abused God’s word and distorted the gospel message. The history lessons found in Genesis are being repeated. Just as the first man and woman had a choice between listening to God or not listening, the same choice is presented to believers today. In other words, the blessings of obedience if we follow God’s word, versus the calamity and consequences of disobedience. ‘But this is what I commanded them, saying, “Obey My voice, and I will be your God, and you will be My people; and you will walk in all the way which I commanded you, that it may be well with you,” Yet, they did not obey or incline their ear, but walked in their own councils and in the stubbornness of their evil heart, and went backward and not forward’ (Jeremiah 7:23-24). 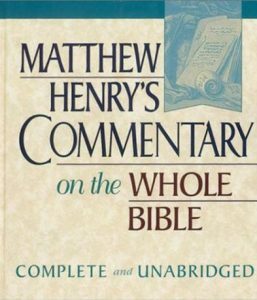 Tragically, to a generation of young adults, many of whom have already been spiritually dumbed down, John Piper lost an opportunity to encourage and admonish them to repent and believe in Jesus, and then follow the example of the Man Who was obedient unto death.